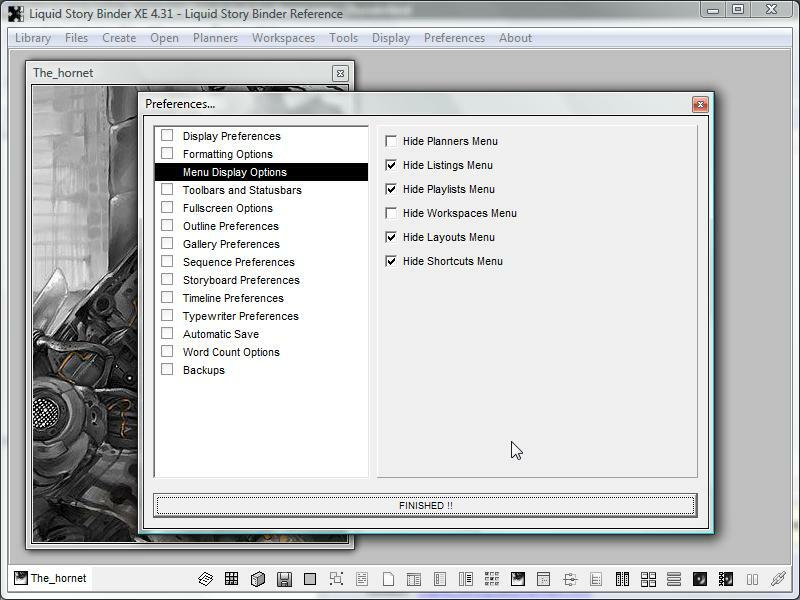 The key to Liquid Story Binder XE is choice. 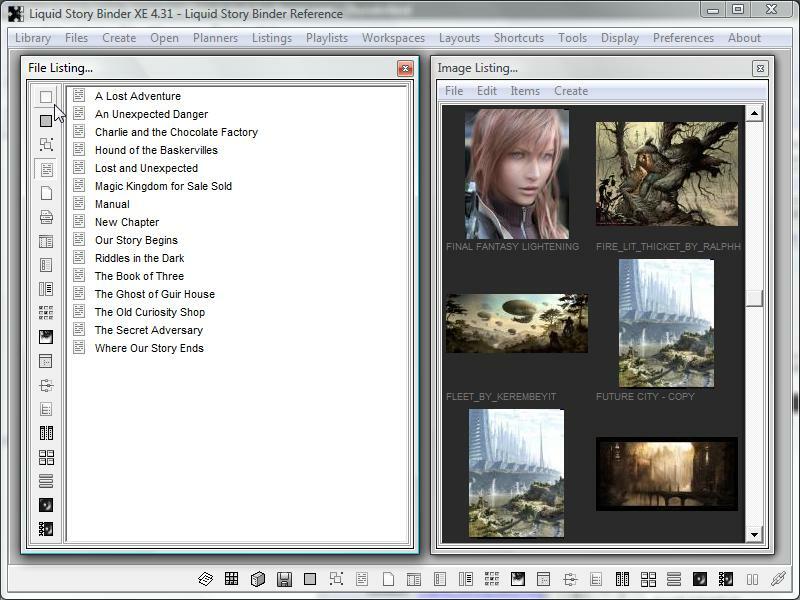 Liquid Story Binder XE has no rigid structure to follow, no step-by-step process that restricts your creativity. Pick and choose the file types that work best for you. Use only the tools that best suit your needs as an author. 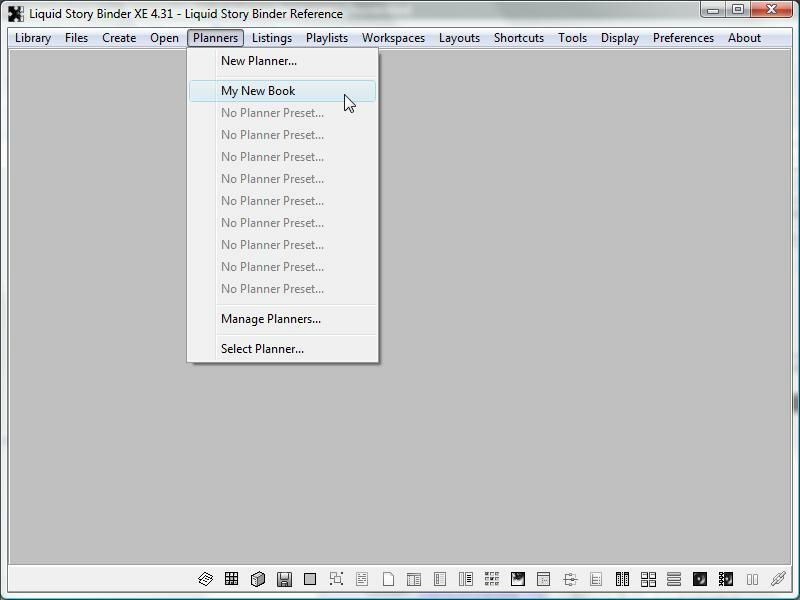 Liquid Story Binder never tells you how to write! The Example Book is a great place to start. Take time to view each file type in action. Don't be afraid to try out the different tools, to change, create and even delete content. Discover what works best for you. 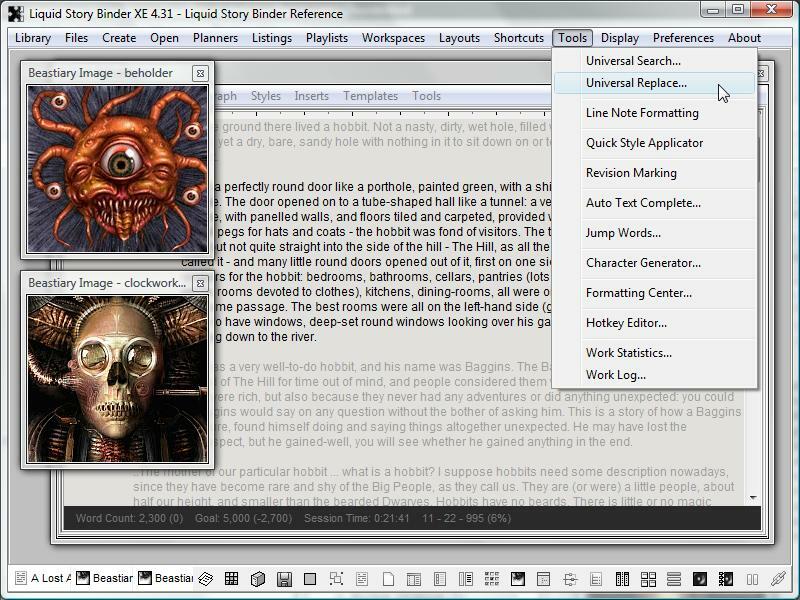 Think of Liquid Story Binder XE as its own little operating system, with each different file type acting as a separate application. 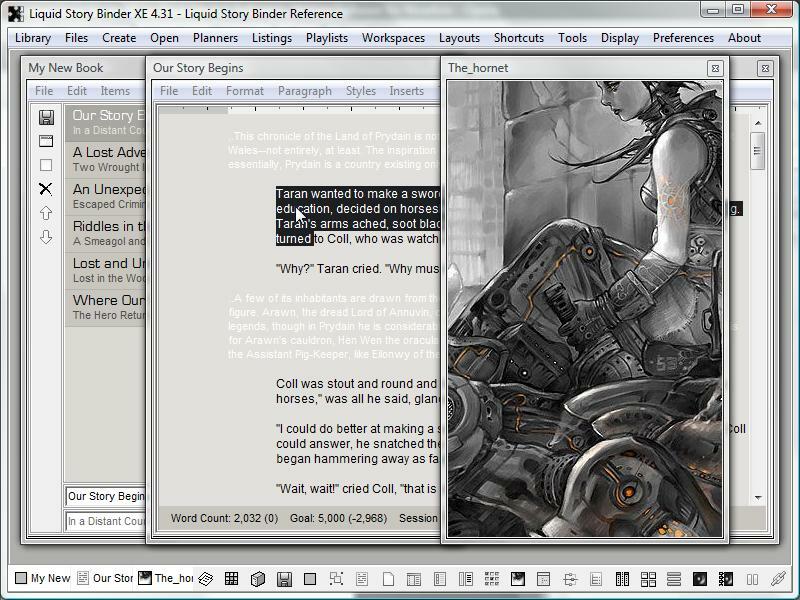 Flexible file types allow you to use your imagination. The 'Library' menu deals with Books. 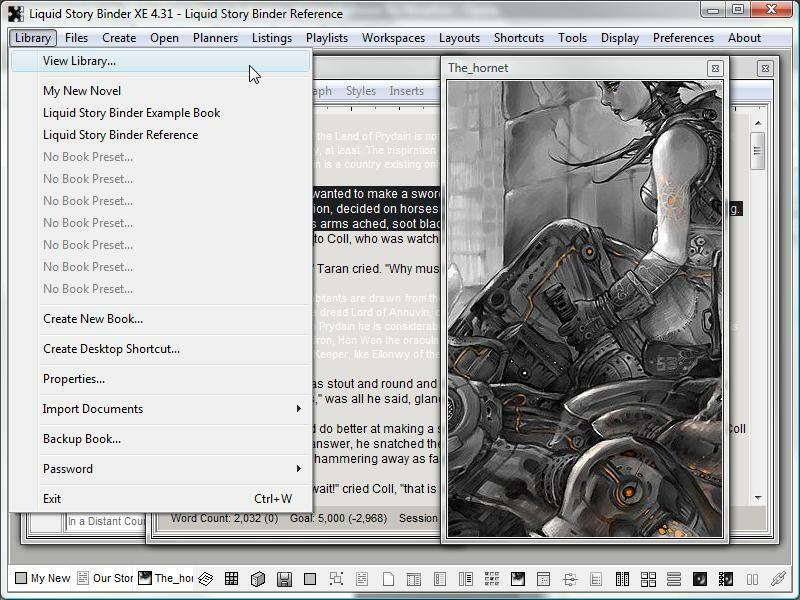 Think of a Liquid Story Binder XE 'Book' as a project or file folder -- the place where all your different files are located. Here you can access the Library dialog where you can arrange, backup, add and remove books. 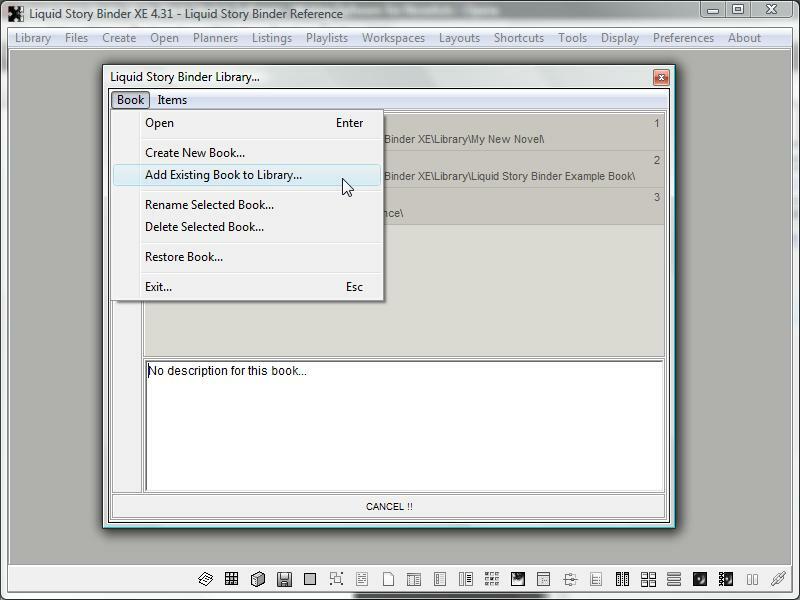 The Library dialog allows you to remove outdated books from the Library menu listing. Inversely, missing books can be added here. For clarification, try giving each book a description. 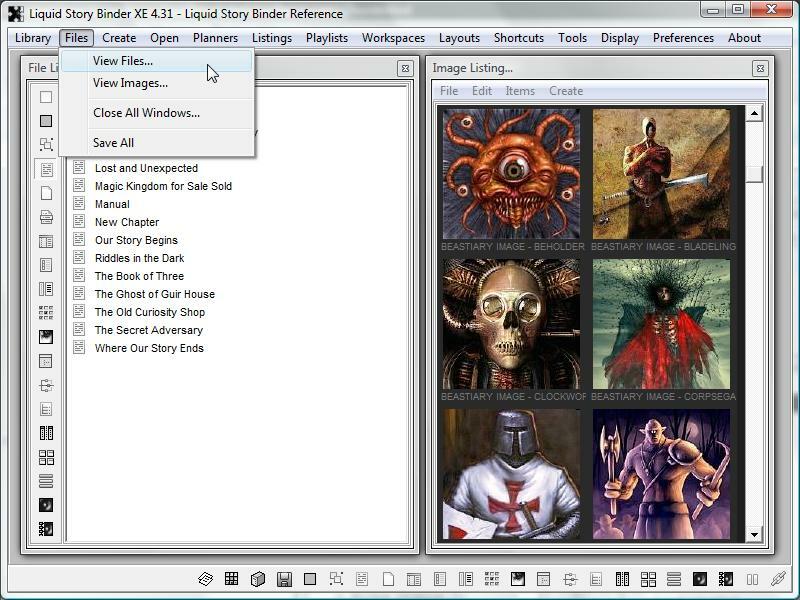 Remember, the topmost book listed in the Library loads first when your start Liquid Story Binder XE. The 'Files' menu gives you access to existing documents. The 'View Files' option opens the 'File Listing'. The 'View Images' option opens the 'Image Listing' thumbnail display. These two dialogs allow you to find and view your files. The 'File Listing' toolbar, with its various file type icons, allows you to select what types to display. Hold down the CTRL key when clicking to select multiple types. The white square icon allows you to view all files. 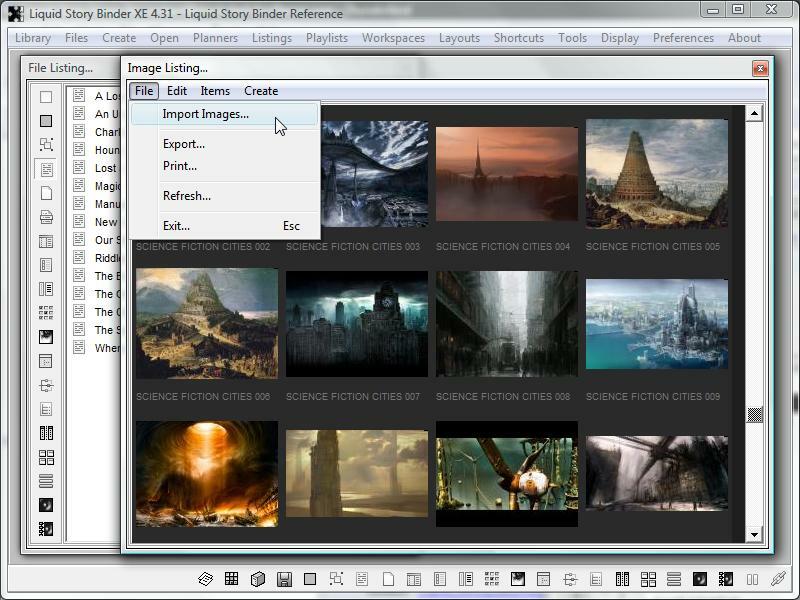 The 'Image Listing' dialog allows you to view your images in thumbnail format. 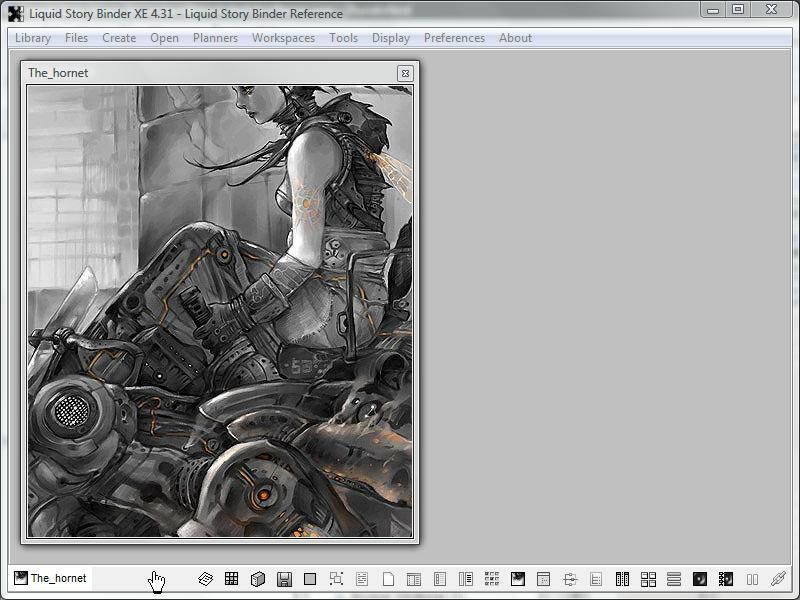 Use the 'Image Listing' to import images and create new Galleries. 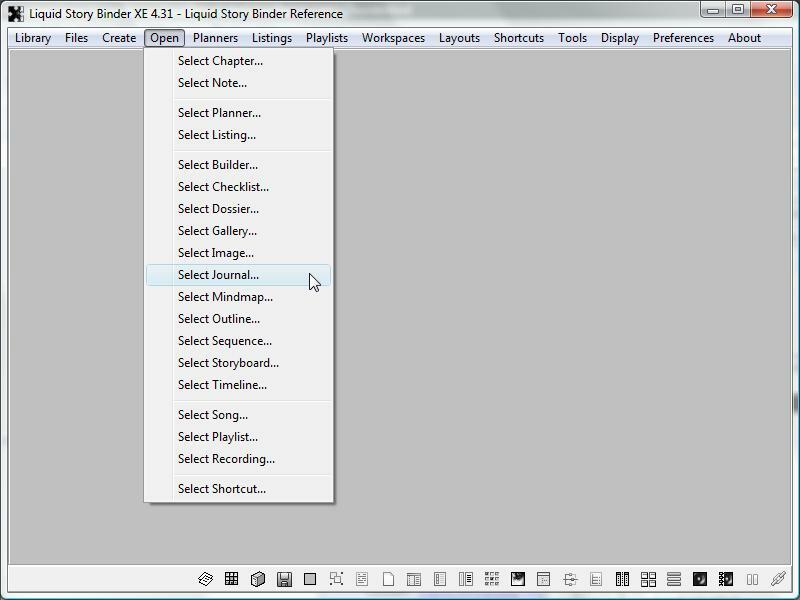 The 'Create' menu allows you to make new files based on type. The 'Open' menu helps you locate existing documents. The 'Planners', 'Listings', and 'Playlists' menus list files of that specific type for quick and easy access. Quickly preserve and open window and file layouts using the 'Workspaces' menu. 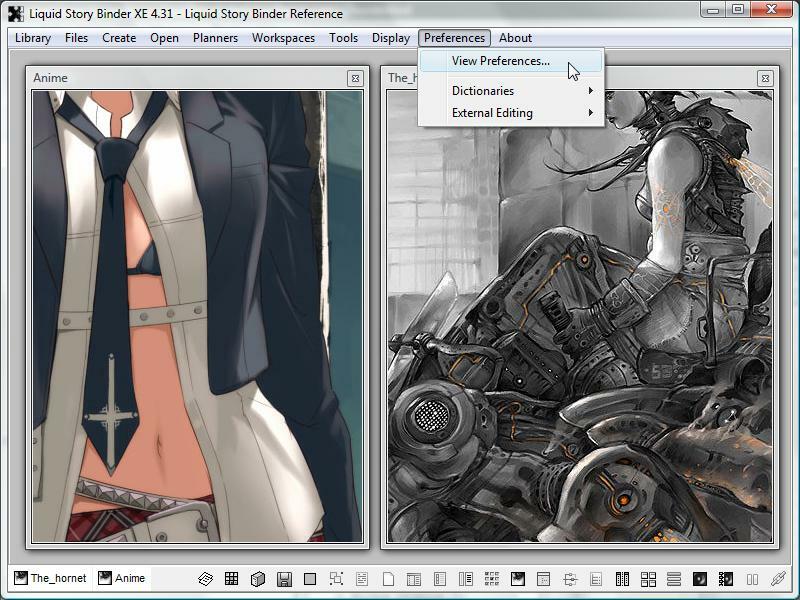 To create a Workspace, click 'Save Workspace...' from the 'Workspaces' menu and enter a title for the new preset. The saved Workspace will then be listed under the 'Workspaces' menu for later access. Please Note: Workspaces preserve file references and not actual content. Changes to your documents will be reflected when switching between Workspaces. Unlike Workspaces, Layouts do not close or open windows, they merely re-arrange currently opened windows. 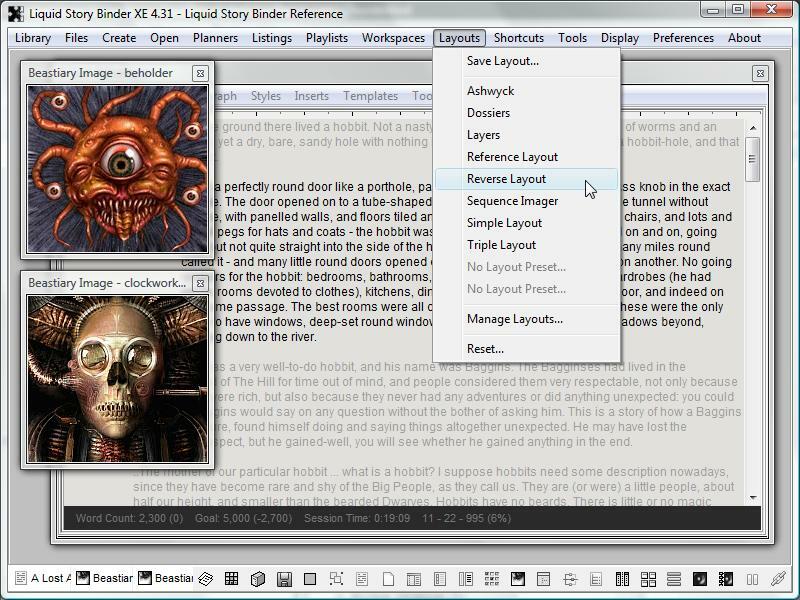 Layouts are essentially non-specific Workspace files, rearranging currently opened windows without closing current documents or opening new files. 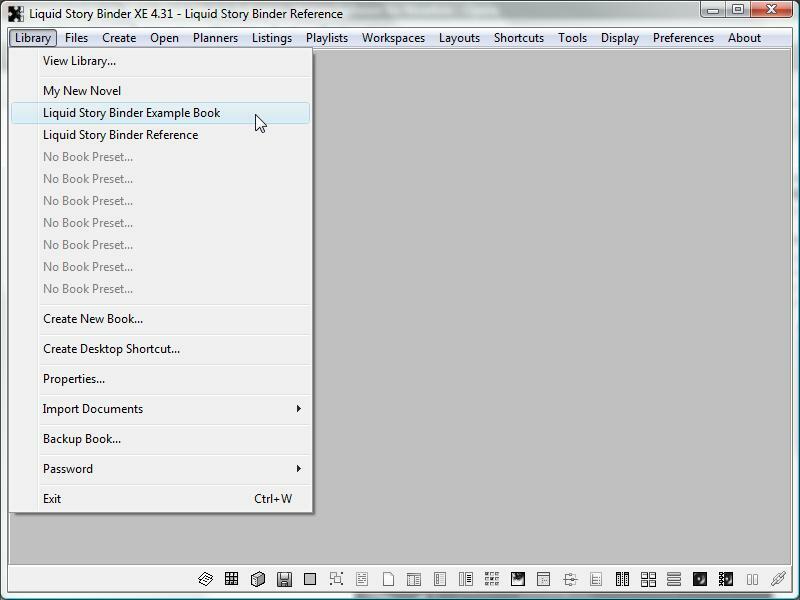 Like Styles and Templates, Layout files are accessible to all LSBXE books. Use Layouts to quickly rearrange your Windows. 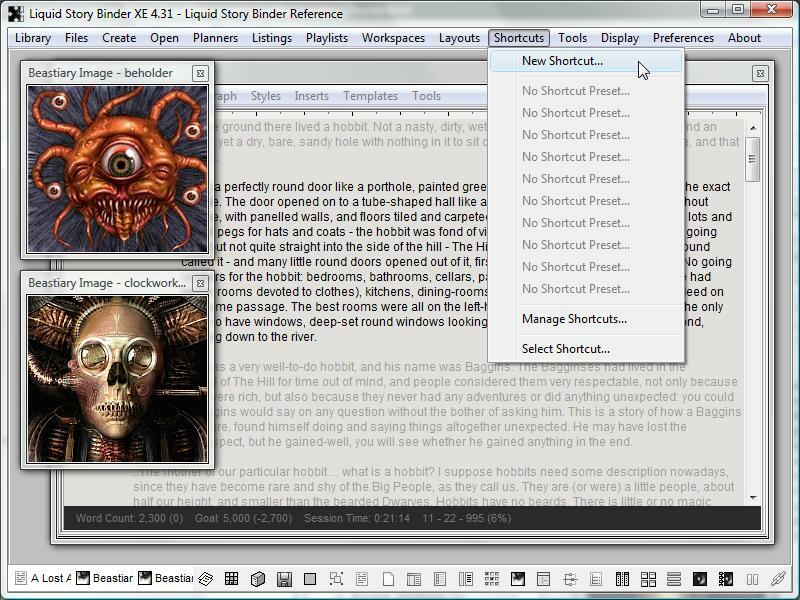 Liquid Story Binder Shortcuts allow to quickly access external programs and documents, aiding in your creative process. Choose 'New Shortcut...' from the 'Shortcuts' menu. Choose a file or program to have it listed under the 'Shortcuts' menu. The 'Tools' menu allows you to access book-related tools -- tools that effect more than just one file type. The 'Display' menu allows you to pick the perfect color scheme. 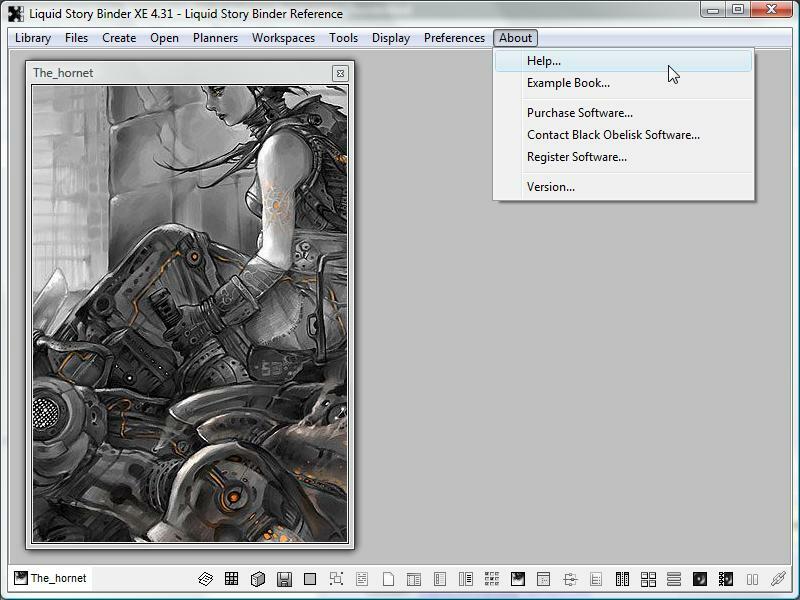 Use color schemes to enhance the Liquid Story Binder XE environment. 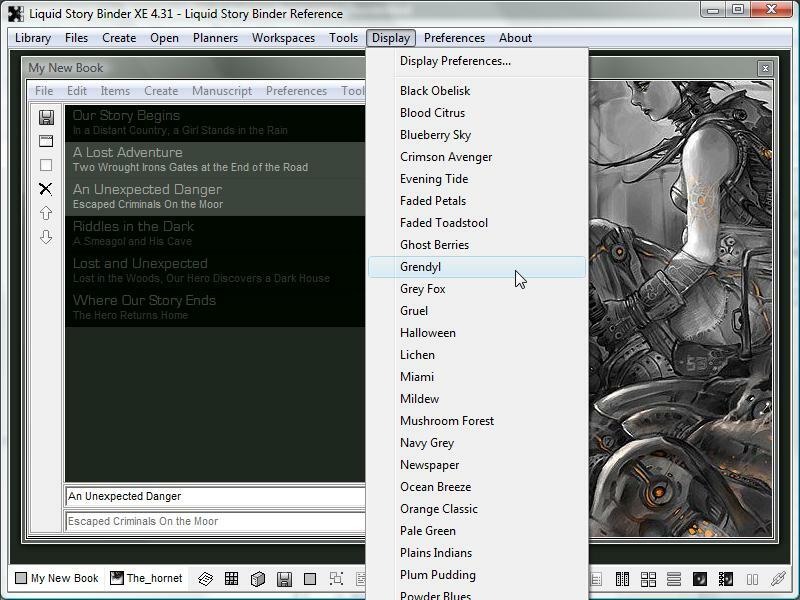 To change item background and font colors, selection colors, window background colors, as well as the main window background color, choose a unique color scheme from the main 'Display' menu. Also, pick and choose your own colors using the 'Color Scheme' dialog. Access your book preferences using the main 'Preferences' menu. The Preferences dialog allows you to choose display, backup, statistics and formatting options. Access help, version, and registration information using the 'About' menu. 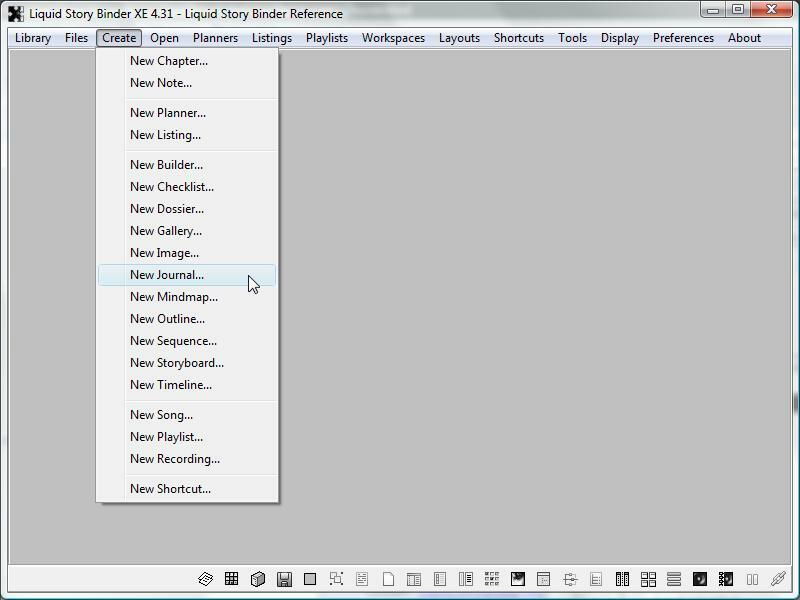 The Liquid Story Binder XE Taskbar is located horizontally across the base of the main XE window. Quickly access opened and hidden windows. Close windows by right-clicking their given title within the Taskbar. Preferences to hide and maximize the Taskbar can be found under the main 'Preferences' menu.